In 2009, a South African instant messaging app was bigger than Twitter. A global pioneer in various mobile technologies, Mxit seemed coiled to vault to the top of the social media world; to fill the ballooning space now occupied by WhatsApp. Already, it was the world’s largest user of the open source ejabberd platform, and it had amassed 17 million users in South Africa alone, while spreading rapidly to offshore markets. Its game-changing CTO at the time, Pieter Nel, told SABLE this week: “We had solved our technical challenges beautifully – at one point, we could have added 10 million new users per week.” After joining Mxit in early 2008 – a time in which ”serious glitches” were hampering day-to-day operations - Nel oversaw a stunning growth period in which users boomed from roughly 5 million to some 20 million in just 18 months. At its zenith, the company claimed 50 million “registered” users. Instead, this showcase of South African software excellence – born from the brilliance of a local visionary, Herman Heunis – has suffered massive declines in both user and staffing numbers. This, despite the latest Mxit 7 product, which is widely described as “gorgeous,” and bristling with features that far outstrip its giant rivals. Nel says the rollercoaster ride of Africa’s largest social network offers key lessons for tech entrepreneurs – but that the phenomenon should be a source of enormous pride and hope for Africans. Pieter Nel is a Renaissance Man of the Digital Age. The 40-year-old is a key innovator in three of the most coveted fields of the new economy – virtual currencies, machine learning and monetization strategy – and he’s doing it for a platform which defines the social connectivity revolution. In 2011, he devised a business model for a mobile trading platform in developing countries, which won MIT’s overall prize in its Entrepreneurship Development Program competition. Now living in New York, the tech engineer is also a pilot currently studying towards his commercial pilot’s license; he is a commercial yacht skipper; and he has been involved with some 50 mountain rescues as a search and rescue volunteer. Nel is now working on a new recipe for business leadership – integrating experiences from the boardroom and the lab with lessons learned on the cliff faces of Table Mountain, with the lives of stricken climbers in the balance. 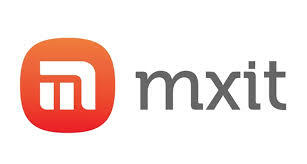 Of Mxit, he says: “Mxit was a phenomenal story; its incredibly sad it didn’t kick on.” Industry experts have speculated on everything from a lack of smartphone agility and a claimed dearth of local software skills to the complexity of its effort to offer both private messaging with chatrooms and digital podiums. Now armed with an MBA from MIT, Pieter Nel has been involved with rampant tech innovations on both sides of the Atlantic. The former Cape Town engineer is now EVP of YouNow – a fast-growing interactive livestreaming platform, which is rapidly becoming the "live Youtube." Nel’s descriptions of the origins of Mxit recall scenes from movies like The Social Network, or actual scenes that visitors to Google offices find today. Heunis had assembled a team of free-thinking software engineers at his communications technology company in Stellenbosch: Swist Group Technologies. Armed with an almost fearless vision to create and innovate, he then broke conventional 2004 office rules by encouraging some of his most talented employees to simply play. One programing play area was the development of an Astral SMS-based game – one of the very first Massive Multiplayer Mobile Games (MMMG) in the World. The game itself could not be commercialized, and Heunis employed another best practice principle now enshrined by Silicon Valley: he quickly killed off a promising innovation that did not meet the viability test. Instead, he recognized the enormous value in the game’s multi-participant communication feature, and refocused innovative energies there to produce Mxit. In each of these steps – but in the CEO-led culture of innovation above all – the early stage development of Mxit perfectly reflects the integrated strategies for competitiveness set out in today’s leading research, including the global survey on Innovation recently produced by the Business Performance Innovation (BPI) Network. However, Nel says the Mxit experience demonstrates both the extraordinary innovative energy in Africa, and the transformative potential of disruptive mobile technologies there. And his core ambition remains to empower African entrepreneurs through innovation in that potent field. His teenage years echoed the experience of South Africa’s greatest innovative export – Elon Musk – who once told this reporter how he read college-level engineering textbooks at night “because the TV was so bad” in Pretoria. At age 15, Nel purchased 2nd and 3rd year electronic engineering textbooks from the University of Stellenbosch, and would go on to assist final year students with their projects when he finally enrolled there as a first year freshman. Nel’s early career speaks to the 'generalist' skills he values in top engineers today: from implementing new telecoms protocols and leading a technology team at a global investment group (Old Mutual) to devising groundbreaking ways to monetize apps. In May 2011, he co-founded Kuza Mobile, a location-based platform for feature phones that aimed to revolutionize how many Africans do business. Using a basic feature phone, users could create a web presence in a few minutes, while broadcasting commercial offers to customers nearby, in a system that uses pay-as-you-go micro-payments. However, while consumer demands are ever-evolving, Nel sees enduring principles for leadership in the technology space – and that mountain rescue conditions are an ideal approximation for the competitive landscape in today’s digital economy. 1. Have one person in charge – In a rescue situation where it’s critical to get a patient off the mountain and to hospital, you just don’t have time for long debate and consensus decision making. A good solution is much better than a perfect solution that took double the amount of time to implement. There’s no such thing as 'joint CEO’s' in rescue. 2. Keep your hands off – We train our team leaders on a rescue to go sit slightly removed from where all activity is taking place, and to make sure he keeps his radio in his hand, so as to prevent him from actually taking part in rigging and rope-work. The moment the leader gets too involved in the details he loses critical situational awareness. 3. Go with your trusted team – High performance rescue teams end up working and training together for years, as well as all becoming close friends. Our rescue team spends a lot of time together in the mountains on our own recreational pursuits. We know each other intimately. 4. Training – When you’re tired, wet and cold, it’s training that ensures that we maintain a safe environment. Training is the 'hygiene factor' that allows us to make difficult calls in tough circumstances. 5. Dealing with ambiguity – To do this job at all, you have to be comfortable dealing with ambiguity and rapidly changing scenarios. You could be in the middle of a dinner-date, only to receive a page and find yourself hours later on an air force transport plane to a foreign country for a missing aircraft search. Pieter Nel is a technology executive, engineer and entrepreneur with leadership experience in both Fortune 500 and startup companies. As CTO of Mxit, he helped build Africa’s largest social network, going on to co-found Kuza Mobile, a venture-backed company that used mobile technology to empower emerging market entrepreneurs. He has advised a range of mobile technology companies including Tencent and NTT DoCoMo. He currently serves as Senior Vice President of Operations at YouNow, a New York-based mobile video streaming company backed by Union Square Ventures and Venrock. Pieter holds a Masters degree in electronics engineering from the University of Stellenbosch, where he specialized in machine learning and artificial intelligence as applied to speech recognition. As a Sloan Fellow, he gained an MBA from MIT, pursuing his interest in mobile technology and emerging markets with funding from the Legatum Center and Mastercard Foundation. Pieter is a Senior Member of the Institute for Electrical and Electronics Engineers (IEEE). He spends his free time as a licensed pilot, yacht skipper, scuba diver and mountain rescue volunteer.